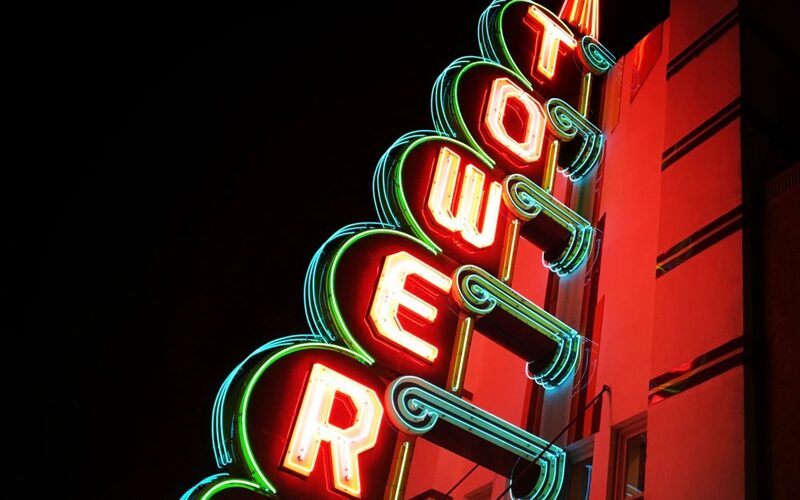 The Tower Theater in Oklahoma City represents a rite of passage. Recently repurposed for music and special events, the balcony retains the original seats. I arrived early for a screening of Francis Ford Coppola’s The Outsiders. Remembrance stuck resonate chords as I huddled alone in the balcony with a box of popcorn and thought of my father. When I was a small child he brought me here for my first feature films: Twenty Thousand Leagues Beneath the Sea and Ivanhoe. He loved the classics and shared these stories in the mind-bending power of big screen Technicolor. On summer nights my father would point out the constellations and entertain the neighborhood children with heroic stories from Greek mythology or King Arthur’s legend. A few years later he would be gone. Looking back, my mother made our life seem easy though I know it wasn’t. She worked two jobs, went to night school, and made time to help others, especially young single mothers. One weekend I came home from college to find my bedroom empty. “I gave the furniture to someone who needed it more,” she said. And I never doubted her. My mentor Frank Natale emphasized the power of service and acknowledgment. With the upcoming publication of Angel City Singles, my first novel, I want to acknowledge my gratitude to Frank, my father and mother, and aunt Joan who introduced me to the writer’s journey. My English teachers at Northwest Classen High School presented inspired reading lists that lead me through the isles of the independent bookstore at Penn Square Mall, my imagination filled with wonder and resolve. I acknowledge stand-up comedy guru Greg Dean, and his students, for our years of friendship and laughter. Thank you to the UCLA Extension Creative Writing Program, and instructor Jamie Cat Callan, the Los Angeles Writer’s Block including Janet Fitch, Diana Wagman, Cat Bauer, Marlea Evans, Charlotte Laws, and Charles Parselle. Thanks to Leslie Schwartz for her editing guidance and to readers Melissa Brevetti and LeeAnn Holmberg. To the Beyond Baroque Literary Arts Center in Venice, and performance art venues everywhere, thank you for creating space where inspired voices may be heard.